Fresh and frozen food and food and drink combinations. 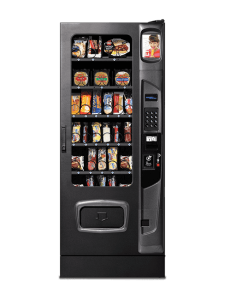 Vending machines for soda, water, juice, sandwiches, salads, ice cream and more! 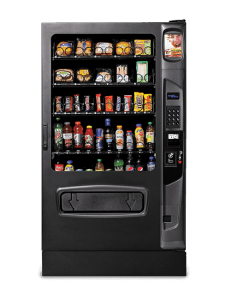 Latest version of USI’s class leading glass front food & beverage merchandisers. Robotic arm grabs each food and beverage product from its vend position and delivers product to the delivery bin. 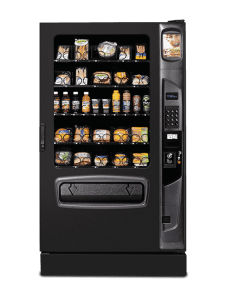 Designed to gently serve a wider variety of prepackaged meals, sandwiches, salads, dairy, fresh fruit, and beverages. 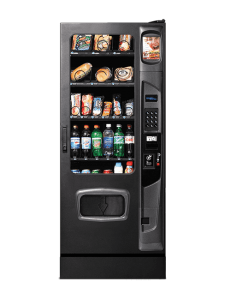 Delivered Price: $5,595.00 Vends up to 40 selections of sodas, juices, milk, yoghurts, and others food best served cold from one versatile package. Vends between 24 and 30 selections of sodas, juices, milk, yoghurts, and other foods where space is limited. Vends up to 36 selections of fresh and frozen foods with a small footprint. Most popular configuration is with three trays of fresh food and three trays of frozen food and/or ice cream. 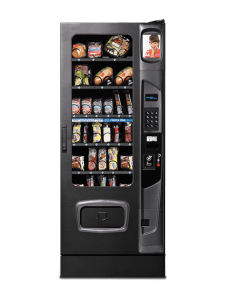 Vends up to 36 selections of frozen foods. 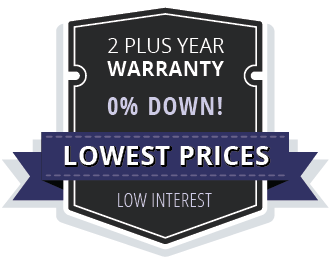 Ideal for ice cream and microwaveable frozen food sandwiches and entrees.